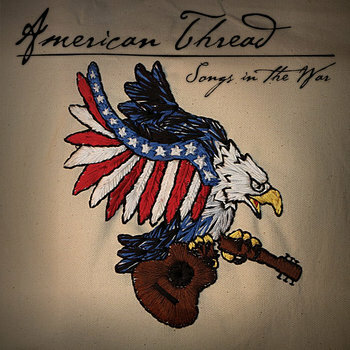 American Thread is the kind of band this blog exists for. Beautiful songwriting, honest-to-goodness rock'n'roll, and oblique John Mellencamp references will always capture my heart. In short, American Thread is the only good thing to come out of Boston. Songs in the War is American Thread's second album. There is confidence in spades on here, and if this were a different time American Thread would be poised for greatness. As it is, there's always love for well-crafted rock'n'roll in these parts. Given time, it's my hope that American Thread is a touring band (if that's what they want) instead of a local band. Boston needs to learn how to share. More importantly, though, you'll be seeing Songs in the War on a certain upcoming top-ten list.